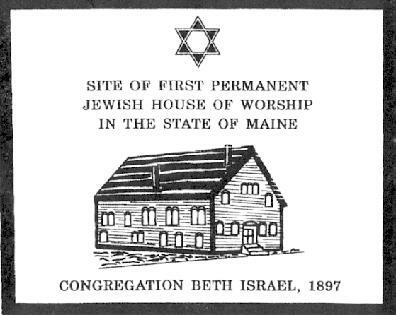 Jews have been an active and integral part of Maine life from early in the 19th century. The communities were small and religious life was very localized. It was not until late in the 19th century that the Jewish communities, first in Bangor and later in Portland, grew large enough to build and support a permanent house of worship. 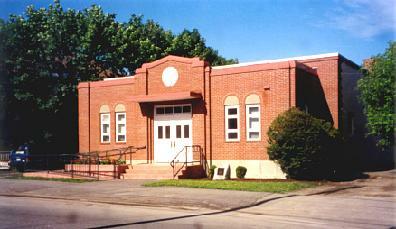 Congregation Beth Israel was built in Bangor, Maine in 1897. It served as the community synagogue and center until it was destroyed in 1911 by a terrible fire that engulfed a large part of Bangor. Beth Israel was rebuilt in a later location and the original site was sold. Today the site has been repurchased by the Jewish community and is used by the Chevre Kadisha (Jewish Burial Society). There is a small chapel inside the present structure. 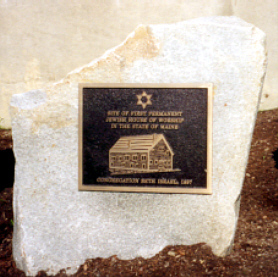 With generous support from Norman Minsky and the Bangor Jewish Community, JASHP was able to historically mark the site.